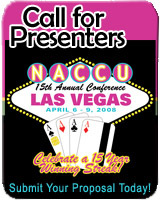 Registration for the 15th Annual Conference of the National Association of Campus Card Users is open online. The event will be held in Las Vegas at the Riviera, April 6-9. Discounted registrations are available until February 19 so don’t wait too long.